Thinking the coast ‘concrete jungle’, where the infamous and numerous cranes dotted the sky-line telling of more building, was perhaps not for us we headed a little inland. Not too far, after all we needed to be able to rent the property to holiday makers, and they love the beaches. 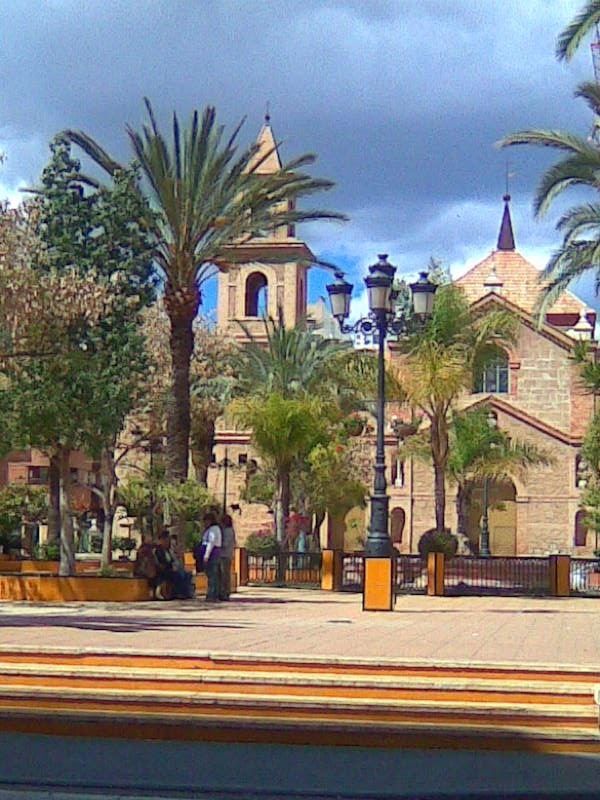 Quickly we found open land, agricultural fields and the first of the small towns, San Miguel de las Salinas. We moved on to Los Montesinos and then Algorfa. The main issue was that in the towns, as with all Spanish towns, was that within our price range there were only apartments with tiny balconies and often no pool. So we headed for an urbanisation where we could buy considerably more for our money than we could on the coast and where there would be townhouses and communal pools. We were impressed by what we could afford and it was beautifully quiet, so we went for a walk around - but there was nothing there! We couldn’t amble to the shop for fresh bread and milk in the morning, or go for an evening stroll to a café/bar. Every time we wanted to do anything other than chat to a neighbour, (if you could find one), we had to get in car. Reality hit. This was not what we wanted. Like it or not, at heart we are ‘townies’! If we were to find our future home it would have to be where we could walk to the shops, and take an evening stroll not just under 'the moon of love' but under the street lights too! We briefly stopped at a couple of urbanisations with some amenities but they all felt so false, not proper villages, just contrived and very much a case of ‘little Britain’. So we headed back to the coast to reconsider our options. Description: Reduced from 215,000 to 198,950. A 3 bedroom, 2 bathroom, detached villa located in the sought after El Pinar development in Moraira. The villa is located within a fifteen minute walk of attractive beaches and is located in a quiet cul-de-sac. A gated access opens onto a level driveway with a step to the covered naya and front door opening to the lounge. The main accommodation comprises a spacious lounge, recently refitted kitchen and an inner hallway leading on to three bedrooms and a family bathroom. The main bedroom has an en suite bathroom and built in wardrobes. The villa benefits from hot and cold air conditioning and a wood burning stove in the lounge. There is garden to the front and rear and off street parking. An attractive communal pool complex is a two minute walk from the villa. Description: Reduced from ?95,000 to ?67,500. This very well presented 3 bedroom, 2 bathroom first floor apartment is situated in the heart of the charming village of Los montesinos. The property comprises of entrance hall, three double bedrooms, the master having its own en-suite, family bathroom, large kitchen with separate utility room and galleria and large lounge/diner with balcony. 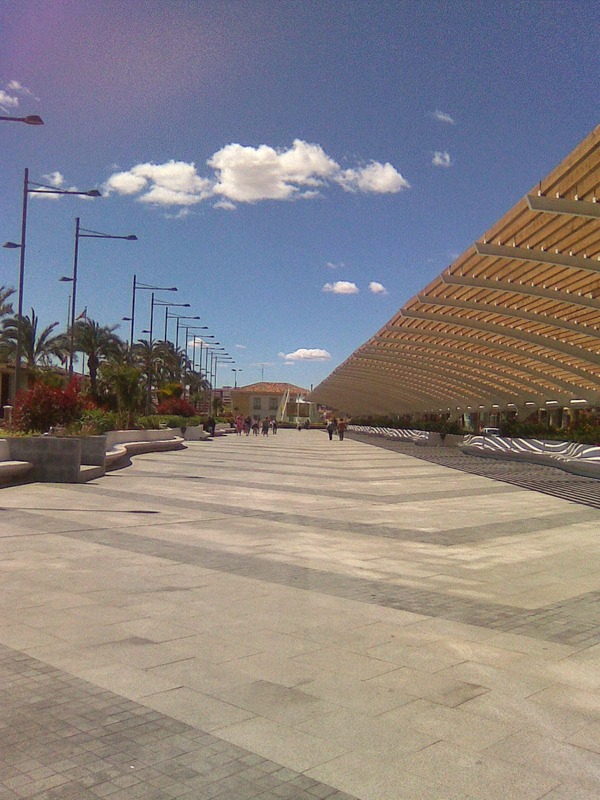 Leaving Torrevieja we came to one of the newest town on the coast – Orihuela Costa. As we drove down the hill the houses spread out before us. There were thousands. As I looked I didn’t feel that this was somewhere I could make home, it was so different to the Spain I knew and loved. 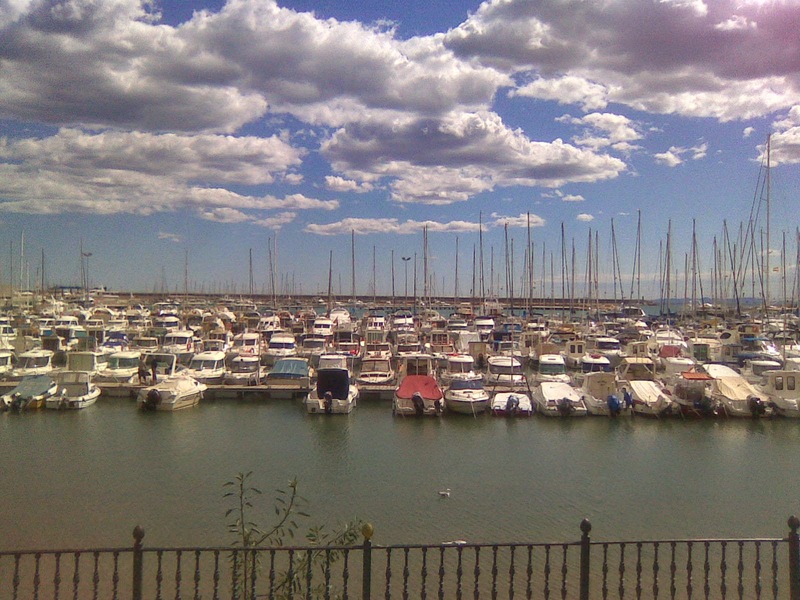 The Orihuela Costa is actually part of Orihuela city, some 20km away. In the ‘70’s there was little there except farmland, a relatively new hotel and a few fisherman’s cottages on the seafront. Around two kilometres inland was the original La Zenia village where little detached single storey villas with small gardens were divided by the narrow streets, only one car wide. 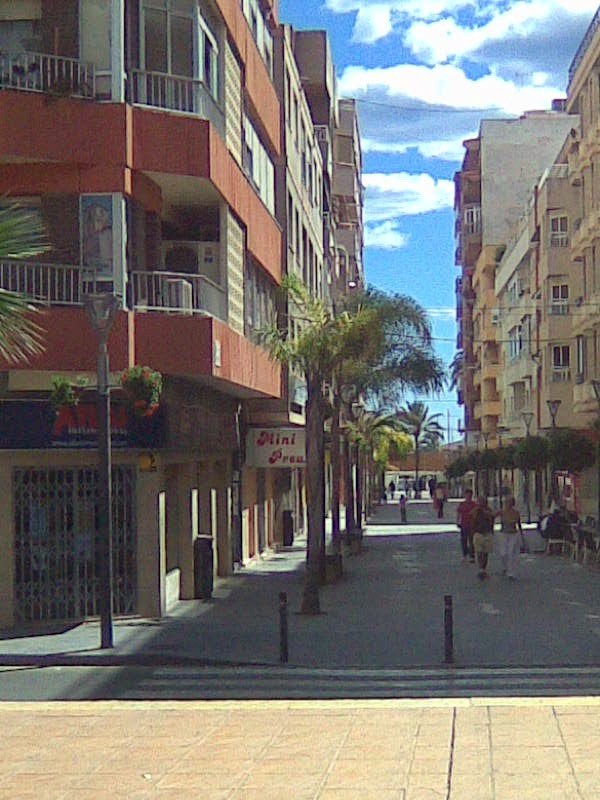 Orihuela city hall realised the potential to develop the land and establish a seafront town, cashing in on the explosion of northern European second home buyers. Unlike the villas in the north outside of the towns with large gardens, the whole town was built on a more traditionally Spanish basis, low rise apartments, townhouses with courtyards and a few larger detached houses with small gardens. The vast majority were built in communities with a shared garden and pool, not traditional but pools are expected by foreign buyers. The town grew in a somewhat higgledy-piggledy manner, giving it an air of not being planned at all! There were different areas, reminding me a little of how the UK’s new towns were made, lots of towns within the town, but just not as organised! I learnt names of the areas; La Zenia, Cabo Roig, Playa Flamenca, Punta Prima, Los Altos, La Florida, Dehesa de Campoamor, Villamartin and Los Dolses. And the golf courses too – Villamartin, Las Ramblas, Campoamor and since then the new Las Collinas. There were open spaces, including a large natural area along Playa Flamenca seafront (sadly some of this will almost certainly be developed), and nothing, except in Dehesa de Campoamor, over five storeys, most only three or less. And in May, when we made our first visit, it was bustling. 9. We are not sales people and therefore you will not be chased by a sales person. Buying a property, especially in another country, should not be hurried. We are not interested in 'selling' you any property but in finding you your dream home in the sun. 8. We ourselves own property in the area in which we work. We have been through the process of buying ourselves so can empathise with your concerns and understand the purchase process from a buyers perspective.